The U14 and U16 hurling academy squads are both out this Saturday with the U14’s playing their first blitz of the year against Louth and Tyrone at the DKIT playing fields in Dundalk. The U16’s will be training on Saturday morning from 10am-11:30am at Keady Recreational Centre. 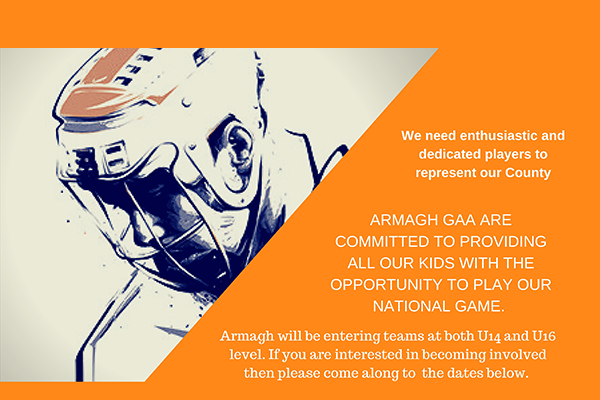 All players who wish to represent their county at these age groups are encouraged to attend. Please see both squads schedule for the year in the poster attached.